Women for Trump, babes for Trump. These fabulous looking ladies are all Donald Trump‘s supporters who believe The Donald unequivocally got what it takes as a leader to save the United States of America, a nation in crisis, currently riffled with Muslim terrorist attacks, cop killings, and racial divisiveness, from destruction by the unholy alliance of corrupt traitors, globalists, and prominent Islamofascists with jihadist Hussein Obama as the de facto terrorist Muslim Brotherhood‘s proxy; and hopefully reunite and restore the country to its former greatness. Leftist libtards & Democrats in unison: “Trump will never be the President of the United States”. These American patriots are ecstatic for Trump, being able to finally meet him in person. Needless to say, they are all Donald Trump‘s ardent supporters who believe The Donald unequivocally got what it takes as a leader to save the United States of America, a nation in crisis, currently riffled with Muslim terrorist attacks, cop killings, and racial divisiveness, from destruction by the unholy alliance of corrupt traitors, globalists, and prominent Islamofascists with jihadist Hussein Obama as the de facto terrorist Muslim Brotherhood proxy; and hopefully reunite and restore the country to its former greatness. “I just had to do the right thing. I had no choice. [Our country] is going to hell.”- Donald Trump. 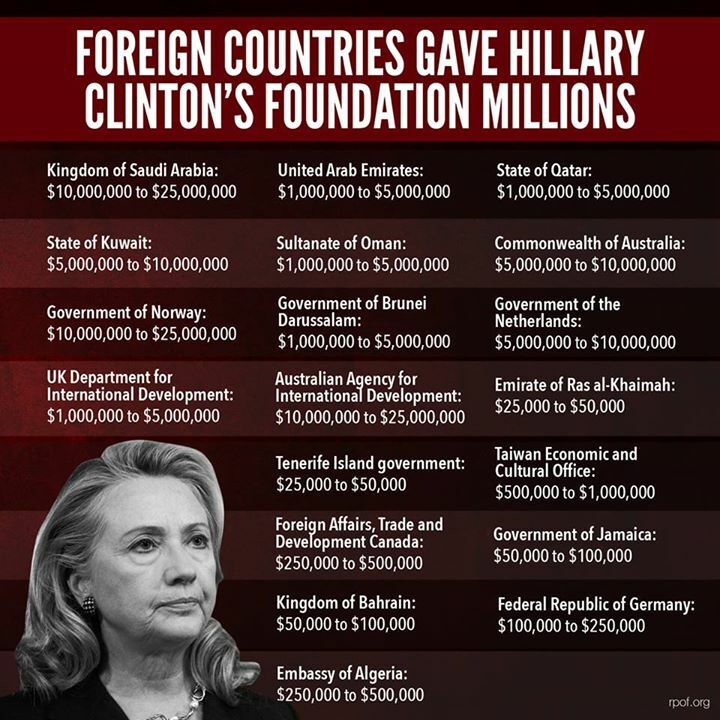 Saudi puppet & corrupt dhimmi traitor Crooked Hillary panders to Muslims and terrorists-sponsoring, women-abusing Islamofascist countries to buy their votes and massive donations (more than $500 millions, part of $2 billions, for Clinton Foundation so far), respectively. Saudi puppet & corrupt dhimmi traitor Crooked Hillary Clinton panders to blacks by blaming white Americans for being killed by Black Lives Matter (BLM) thugs and Nation of Islam domestic terrorists. 8 Police Officers, 5 in Dallas (Jul 7, 2016), 3 in Baton Rouge (jul 17, 2016), thanks to the War on Cops incited by jihadist Hussein Obama’s continued, calculated rhetoric. “The Vicious Nake” Poem, narrated by Donald Trump. 20. Being on the same side of history, or just with these fabulously looking Women for Trump and Babes for Trump.